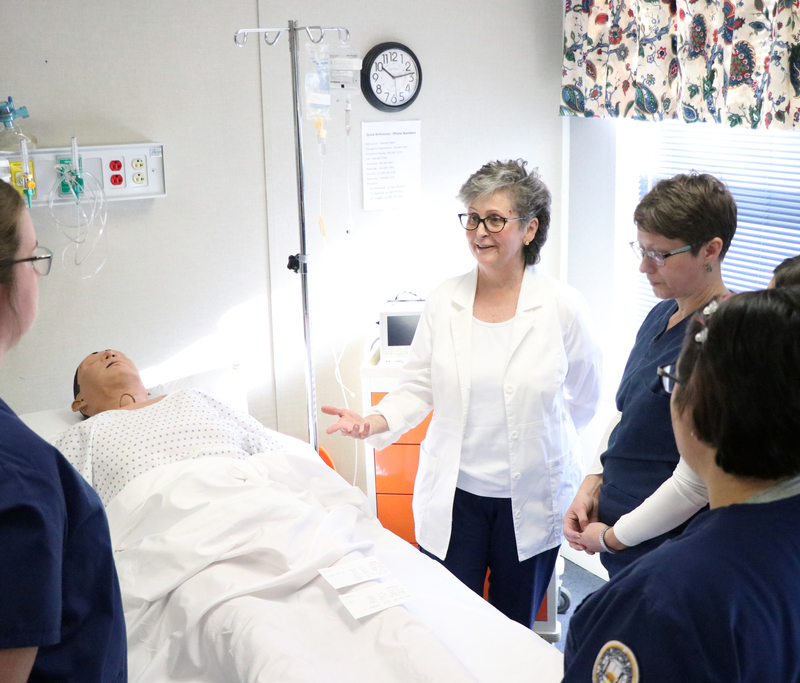 Dr. Maiocco demonstrates patient care techniques to AB nursing students during a simulation lab experience. Alderson Broaddus University Professor of Nursing Dr. Gina Maiocco, APRN, CNS-BC, served as lead researcher on a recent internationally published article in the Journal of Clinical Nursing titled “Care of veterans in a non-veteran health administration hospital: What is the status of nursing practice after continuing education?” Dr. Maiocco has a track record of funded research on the care of veterans in non-VHA health care facilities. The purpose of the research for this article was to identify how civilian nurses care for military veterans and to describe challenges nurses face in the provision of that care. The article summarizes the uncertainty nurses face in delivering care to veterans and documents current practices, to include frequency of documentation of veteran status in the electronic medical record system. As a veteran herself, Dr. Maiocco understands the unique health care issues veterans face on a day-to-day basis, and her research serves as a “bridge” between veterans and nurses in civilian hospitals. “Many nurses are unsure of the methods they should use to treat veterans properly. The point of this research was to see what we can do to improve the overall care of our veteran patients, and the knowledge and safety of our nurses,” said Maiocco. She explains that by documenting a patient’s service history, relevant patient outcomes are monitored so that educational programs, clinical processes, and work safety initiatives can be considered and implemented to support both the veteran and the caring nurse. To further assist nurses in non-VA facilities, Dr. Maiocco founded and continues to volunteer for the Veteran-to-Veteran program. It is a program that supports veterans and their families during admission to a civilian hospital and helps to educate nurses on veterans’ physical and mental health needs. Maiocco’s Veteran-to-Veteran program is gaining national attention. 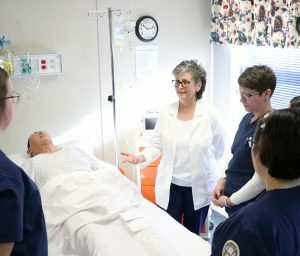 Since publishing an additional article about the program in The Journal of Continuing Education in Nursing, other hospitals across the country have expressed interest in starting a Veteran-to-Veteran program as well. Dr. Maiocco is a Weston, W.Va. native and a 1981 graduate of Alderson Broaddus University, where she received her bachelor’s in nursing. During military service in the U.S. Air Force, she earned a master’s degree in critical care/trauma at the University of Maryland, and a Ph.D. in nursing at the University of Utah. While in the Air Force, Dr. Maiocco performed many duties to include flight nurse, hyperbaric nursing, flight clinical coordinator, critical care clinical nurse specialist and chief of emergency services. In West Virginia, Dr. Maiocco holds an advanced practice registered nurse (APRN) licensure as a clinical nurse specialist, only one of 26 in the state. 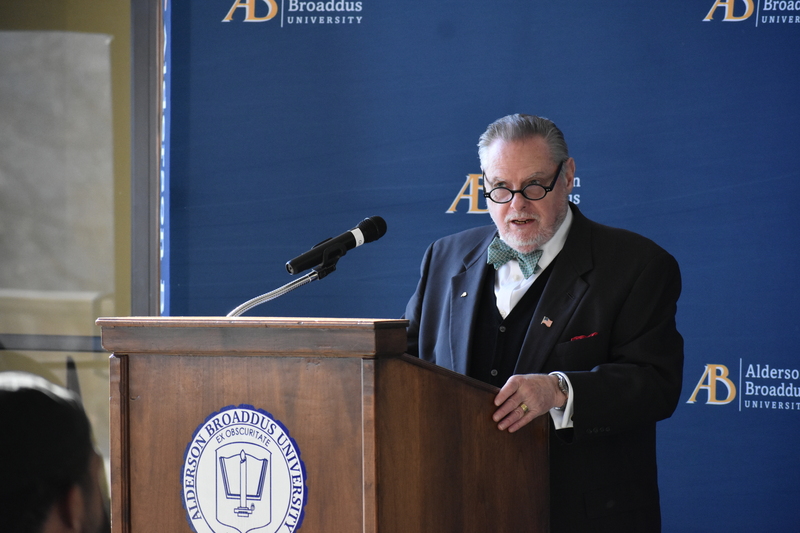 The U.S. Department of Agriculture (USDA) is investing $27,755,000 in Alderson Broaddus University through the Community Facilities Direct Loan Program. 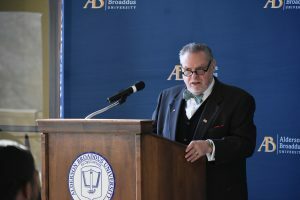 The USDA Rural Development investment will be used for the Endowment Corporation to acquire certain assets of the Alderson Broaddus University campus, which will then be leased back to the University. This will enable AB to develop new program offerings to meet needs in the surrounding area. The USDA loan will allow for the reallocation of additional resources to cover operating expenses at AB. The immediate effect on the financial position will also result in improved numbers in the University’s Composite Financial Index (CFI), a key indicator used by the Higher Learning Commission in determining financial viability. Dr. Tim Barry was recently named the president of AB after serving as interim since 2015. He expressed the importance of this funding and what it means for AB and the surrounding region. Five thousand dollars was awarded to Levi Summe from the Appalachian College Association (ACA) for his senior research project on Northern saw-whet owls. Summe is a natural resource management major with a minor in biology at Alderson Broaddus University, an ACA affiliated institution. 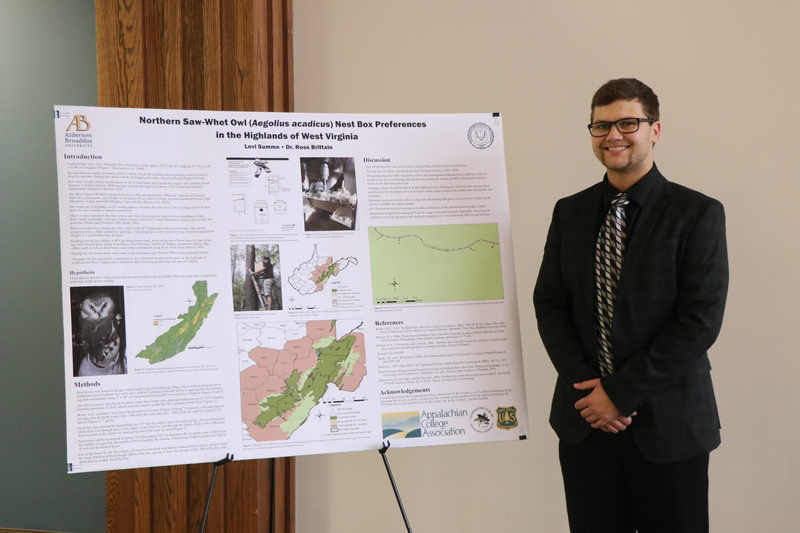 In September, Summe presented his research on “assessing nesting box location preferences to improve conservation of Northern saw-whet owls (Aegolius acadicus) in the Highlands of West Virginia” at the ACA Annual Summit in Tennessee during the Ledford Scholars poster presentation. The purpose of the scholarship is to provide financial assistance for students enrolled at ACA member institutions with summer research in the fields of laboratory and fieldwork, interviews, analyzing special collections, and participant observation. Ledford scholars then present their research each year at the annual summit. 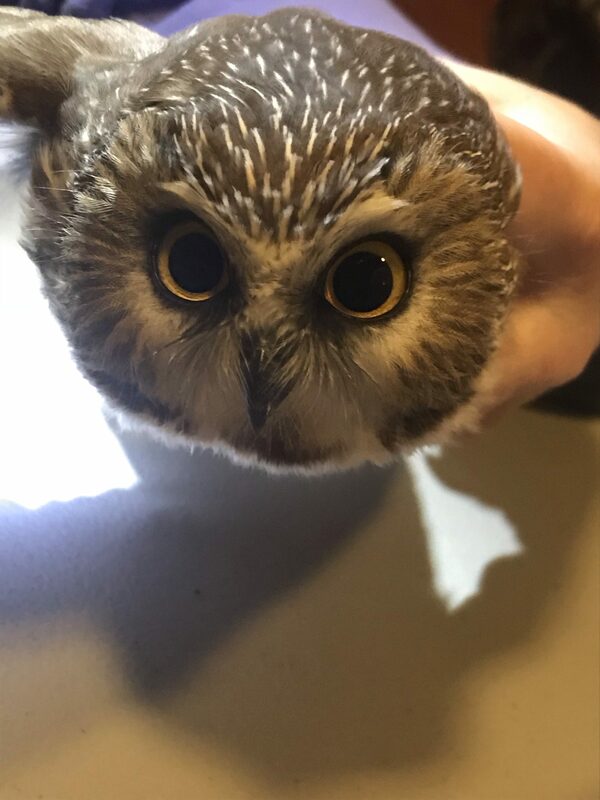 Summe spent his summer building habitats for Northern saw-whet owls and setting up cameras for monitoring. His project is a continuation of research conducted by his former professor, Dr. Ross Britain. Research on the habitats of Northern saw-whet owls is minimal due to their secretive lifestyle, which is what sparked Summe’s interest in the subject. Summe is from Mullens, West Virginia and plans to continue pursuing natural resource research in either forestry or wildlife management after graduating from Alderson Broaddus University in May 2020. 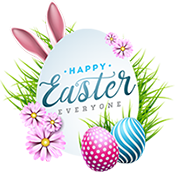 The Appalachian College Association is a non-profit, independent organization associated with more than 35 private institutions. Their main purpose is education which inspires them to support and offer higher education to numerous students in the Appalachian region. The ACA is dedicated to serving more than 65,000 students and offers numerous scholarships annually as part of their efforts.